Dana Hagood, Executive Director of Human Resources for USAA’s Colorado Springs Campus, shares why diversity is crucial to the USAA workforce; discusses hiring goals; and invites the community to the USAA-hosted, Jan 21 breakfast and MLK-Tribute March recognizing the legacy of Dr. Martin Luther King, Jr. Tickets and info: (719) 389-6607. In our Success Story meet Mt. Carmel’s newest partner, Kristin Faith Paruginog, and hear her journey from military family member to founding Chief Executive Officer of Break the Silence Against Domestic Violence. 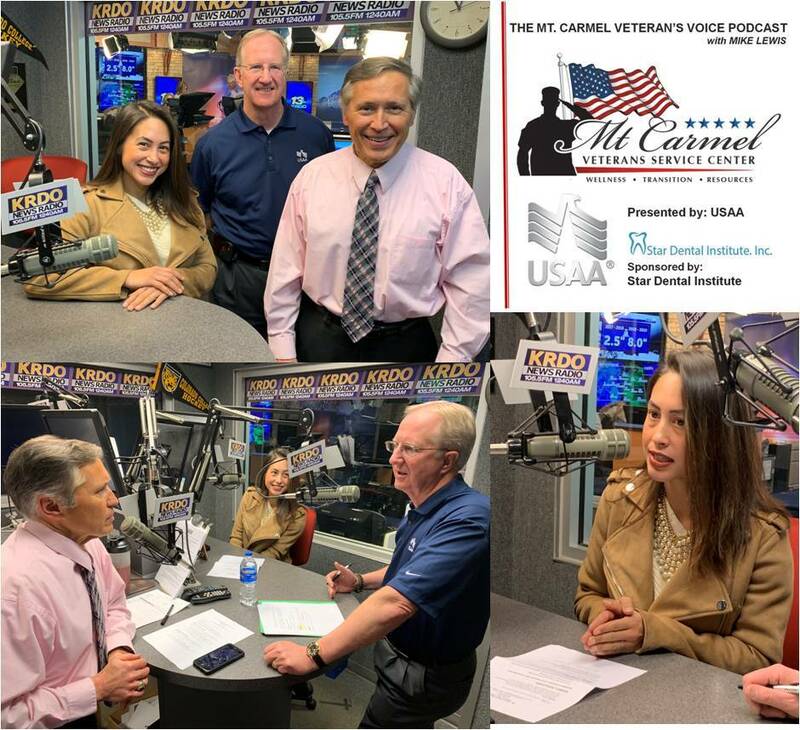 Listen to a candid discussion about the prevention of domestic violence in Colorado Springs and the military/veteran community. Kristin’s organization now has office space and regular hours at Mt. Carmel.